Brickhouse is your neighbourhood gym! We want each of you to feel welcome and its starts by getting to know us! Founder and Co-Owner of Brickhouse Gym. 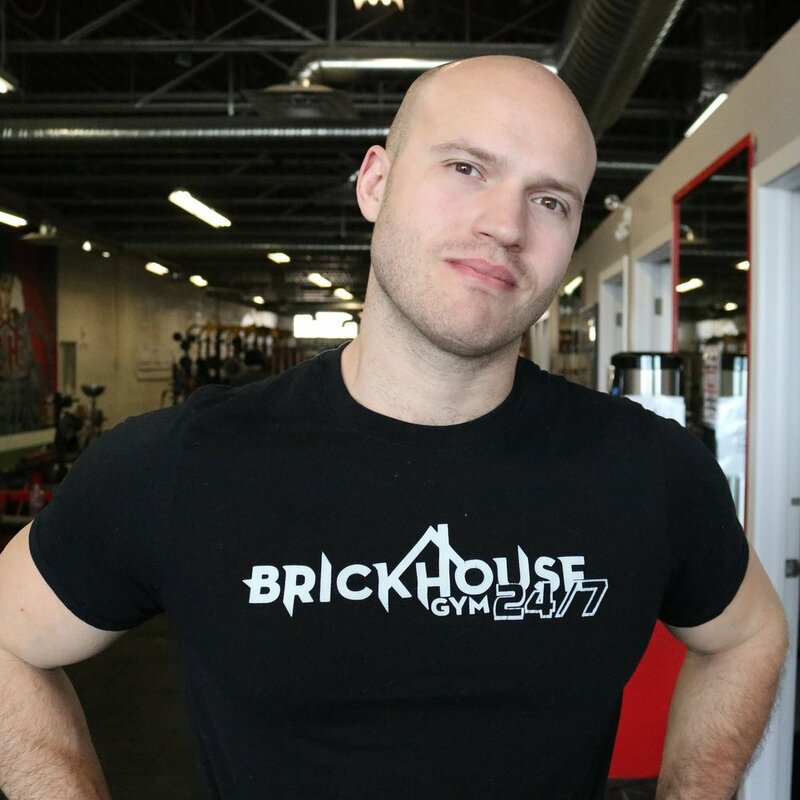 I created Brickhouse Gym just over 10 years ago with the goal to create an environment to help people reach their full potential. Brickhouse has never been your typical gym and i pride myself on that. We have equipment suited for everyones needs. In my years of training i have come to believe theres no such thing as motivation. When you want to change your body, it starts by just doing it. To get in shape, don't wait for the start of the a month, or new years it can be any random wednesday, Just do it. Its all in the first step! A little humour can go a long way when encouraging atheletes to perform their best. Brickhouse Gym is a space in which I am humbled to share my training and experience coaching my students. Brickhouse Gym was founded in 2008 with the premise that everyones an athlete. A motto that we believe helps encourage people of all ages, ability and size to strive to become their best self. Having extensive backgrounds in fitness, training, and boxing, my business partner Paul and I simply wanted a space to train our clients. Now, our passion has grown into two fully equipped gym locations. My gym is my passion. I am inspired by my students, which is why I am so devoted to providing dryland space and coaching for todays youth. Boxing is my first and forever love . As a former competative boxer, I am honoured to share tips and techniques with my students who make my job so rewarding and inspire me greatly. You can find me teaching classes throughout the week at our Gertrude location as part of brickhouse gyms ongoing boxing classes. I recently graduated from the U of W with my 4-Year Kinesiology and Applied Health degree focusing in Exercise Science (say that 10 times really fast). For the first time EVER I do not have to return to school in September (ask me how happy about that I am….Pretty happy). As a former elite level basketball player turned mediocre body-ish builder and who knows what I will dabble with next… Brickhouse Gym has something for everyone and that’s why I am grateful for the opportunity to be thrown into the Brickhouse family mix. Aside from working out, much of my spare time goes towards raising my firstborn child Shilo (she’s a 4 month-old German Shepherd). If we are not at the park then we are probably at home playing a vicious game of tug-of-war. If you catch me without Shilo attached at my hip, it’s probably because I am on a what I like to refer to as: foodventure. Yes, I also spend time scoping out ALL of the donut and food related happenings Winnipeg has to offer. I have been a part of Brickhouse for the last 6 years, so naturally i know this place like the back of my hand. I have put my literal blood (cut my hand on putting up the change room mirrors), sweat (on that grind) and tears (couple of thrown out backs from putting away too heavy of weights that my pride told me otherwise) into this place that with much effort from us all, has officially became kick a$$. Outside of BH, Sports are "my thing" as i have competed nationally in ringette, and provincially for junior hockey. You may catch me 'nerding it out' over biology and as a classic millennial actually keeping up with the kardashians... if i lost you there i swear its better than Jersey Shore! I am a former elite Ringette athlete that got to train here at Brickhouse in the dryland program, I am grateful to continue my love for fitness in this facility now as an admin! With hopes to end university with a Business degree, I would love to base my own company upon health. While I am not at the gym I am passionate for spending time with loved ones, eating ice cream and singing. "Forgiveness is an attribute of the strong." I started working out at the Brickhouse gym in January 2012. The owners of the gym helped me out so much with my fitness journey, that it only made sense to work part time and assist in helping them succeed. 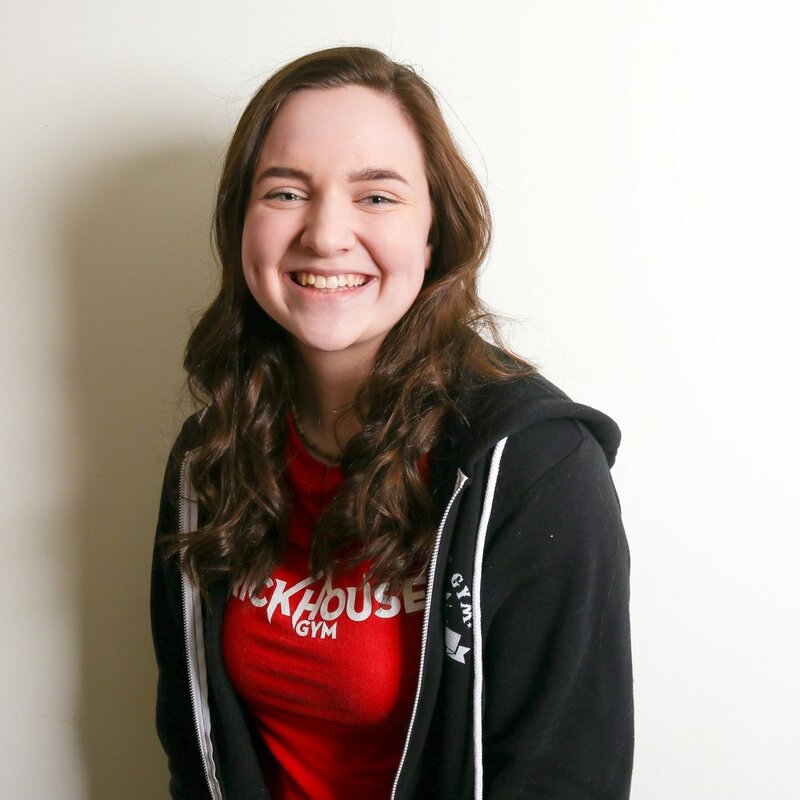 Throughout the 12 years I have been playing ringette, 2 have been spent training here at Brickhouse which has brought me to work here as an admin! My goal is to end university with a Bachelor of Science degree so that I can pursue a career working as a pediatric oncologist. I play high-level ringette competitively and it is my true passion. I enjoy meeting new people every time i come to work, so come and say hi! I fell in love with brickhouse about 6 years ago when I got the chance to train here through competitive ringette. My favourite memory of training at Brickhouse gym is when tthe cats were brought into the gym during our training session, which definitely made the workout a lot more FUN!!! The positive energy and atmosphere you experience here is something that cannot be explained until you experience for yourself. Outside my love for the gym, I still enjoying playing ringette at the national level and working towards my Physical Education degree. You can also catch me practicing handstands on daily, playing with ANY dog that I see, or training for the next big thing in ringette! I have been a part of the sporting community throughout all my life. As an elite athlete, I have had the pleasure of training at Brickhouse gym and can speak first-hand about how great this environment is. One day I would like to further a career in sports medicine. Initially from a siamese family, i was born to a single parent. Though it was apparent by my non lack of fur and straight vision, i might have been switched at birth... ("How i was switched at birth" - The Mogwai Muggerson Smith Story p. 57 2012). Born to the dusty landscape of urban life in the village. I have several brothers and sisters who were adopted first, i was the last to be adopted because i was extremely pick. I enjoy short walks in the sand, temptations, people with long nails, and people that don't laugh at me. My favourite saying is "look but don't touch the fur" and i hate hearing "omg his face is so flat!!"